Experience uniquely Balinese hospitality and luxury at the multi-award winning Nusa Dua Beach Hotel & Spa. The hotel is situated on the beach in tropical gardens, walking distance to local restaurants. 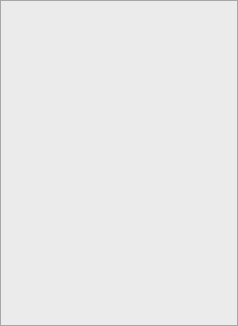 High standards and good value, this is ideal! 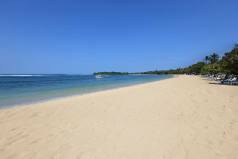 On the beach in Nusa Dua, walking distance to the shops and restaurants of Bali Collection. 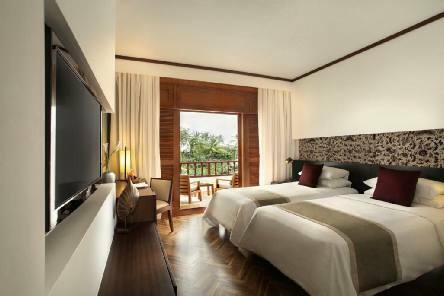 Decorated with Balinese furnishings, rooms at Nusa Dua Beach Hotel & Spa, Bali have a balcony or terrace with views of the tropical gardens or the beach. Each room features a satellite TV, tea/coffee making facilities and a safety deposit box. 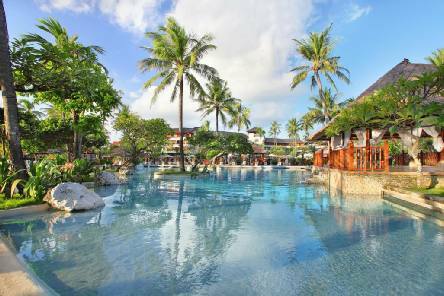 Nusa Dua Beach Hotel & Spa features 3 outdoor pools and a private beach. Designed to resemble a Balinese palace, it offers several daily activities, including free scuba diving lessons, aqua aerobics and Balinese dance classes. 2019 Package holidays to the Nusa Dua Beach Hotel Bali Prices are per person based on two sharing.